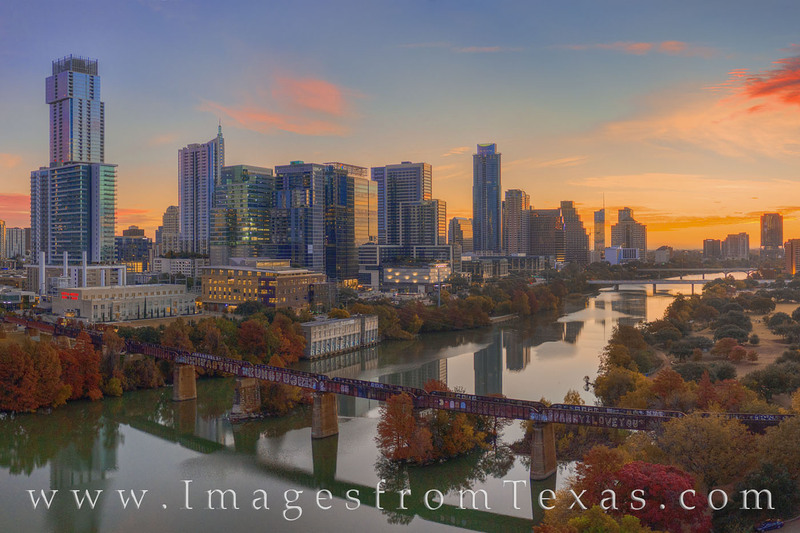 A bird’s eye view of downtown Austin overlooking Ladybird Lake is seen in this aerial photograph. The November morning was cold and the water was still. The colors of the trees along the river were orange and gold - beautiful this time of year. It was a very nice morning to be out. Photo © copyright by Rob Greebon.